What is the purpose of using medication in IVF? The hormonal medications are used to induce multiple ovulation, which allows the simultaneous collection of multiple oocytes, in order to create several embryos, thereby making it easier to select the most competent and viable embryos for implantation. Which organs are affected by the use of hormonal medication, apart from the ovaries? The breast, the uterus, the fallopian tubes and the ovaries are all hormone-sensitive organs. In IVF treatment, during the use of hormonal medication, apart from the ovaries the other hormone-sensitive organs are induced as well. This can be expressed with pain or breast swelling, as well as with discomfort in the lower abdomen. It is true that IVF medications are associated with the development of cancerous tumors? Until nowadays, following multiple studies on the relationship of hormonal medication and the development of malignancies it is not proven that there is a causal relationship. In low risk women, i.e. without a personal or family history, the use of hormonal drugs is not associated with induction of malignant diseases. In contrast, in high-risk women with a personal or family history of malignant disease, or of older age or multiple hormonal treatments in the past, caution is advised, since hormonal treatment can promote pathology development in hormone-sensitive organs. Therefore, the basic screening, before the beginning of the hormonal treatment in a woman by recording a detailed history, identifying the risk factors, and conducting preventive checks, such as Pap smears, breast ultrasound, and mammography and transvaginal ultrasound is recommended. How often and in what way should a woman, who makes use of hormonal medication for IVF treatment, be checked? A woman who has undergone hormonal treatment for IVF should undergo, annually, regular screening of the inner genital organs and her breasts. The transvaginal ultrasound in conjunction with the Pap smear provides a very effective screening for the early diagnosis of a pathology. Regarding the breasts, especially from the age of 35 years and above, a mammogram is recommended as a point of reference, while a breast ultrasound could be done on an annual basis, as it does not involve radiation. From the age of 40 years and above, a combination of mammography and ultrasound is recommended for the complete screening of the breasts. What are the most common side effects during hormone treatment in IVF? The most common annoyances that occur are swelling and discomfort in the lower abdomen, especially towards the end of treatment. These symptoms are rarely severe and usually disappear with the completion of the embryo transfer. What is the ovarian hyperstimulation syndrome (OHSS)? The ovarian hyperstimulation syndrome is the result of hormonal treatment during IVF and occurs when ovarian stimulation has resulted in the development of a large number of follicles and high secretion of estrogens. In its milder form manifests with mild abdominal distension, heaviness and discomfort. Rarely is more severe and is accompanied by breathing difficulty, impairment in renal function and blood clotting. The hyperstimulation syndrome can be avoided with the right choice of the dose of medication, the appropriate stimulation protocol, as well as with the use of the cryopreservation methods, which allows the completion of the treatment with embryo transfer on a subsequent cycle, when the body has returned to normal hormonal levels. 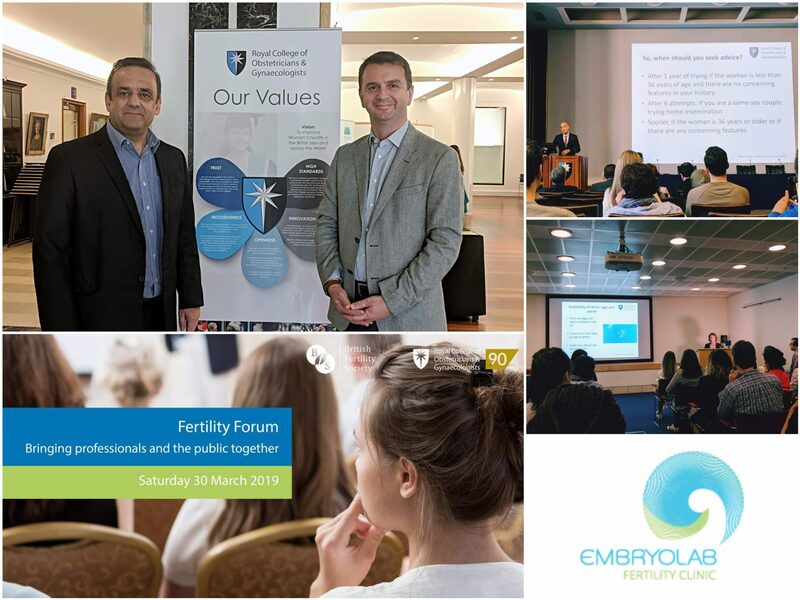 What are the latest developments in IVF medications? The latest medications that have been developed for the IVF treatment allow the completion of the treatment in about half time, compared to the previous medication generation. The newer protocols provide easier control of ovarian response and reduce the possibility of an ovarian hyperstimulation syndrome. In addition, new medications are recently introduced, to replace daily injections with one single use injection. This means fewer injections, less daily discomfort from the injections and greater flexibility for the women under treatment. How can the side effects of hormonal medication be reduced? Firstly, we should take into account the woman’s age, the results of hormonal tests and the history of previous stimulation if any, in order to choose the appropriate dose of medication. Frequent monitoring with ultrasound scans, often in combination with hormonal tests helps to prevent and to early recognize any complications. Can IVF treatment be done without medications? When there are contraindications for use of hormonal medication then IVF can be done in a natural cycle. In this case, since there is a regular ovulatory cycle, ultrasound monitoring of natural ovulation is performed and the egg collection of an oocyte, fertilization and embryo transfer. Despite the lower effectiveness of this method, it is an alternative approach, when medication use is difficult and risky, either due to the history, or sometimes, because of the woman’s wish. 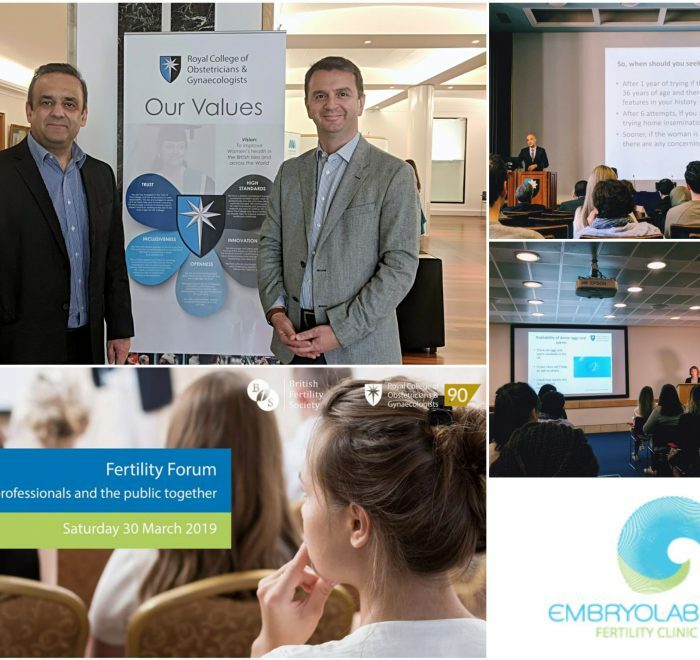 Embryolab celebrates 10 years of successfully implementing this method and welcomes the Japanese scientists who first applied vitrification on a clinical level.